Four companies of the Royal Fuziliers joined Lord Cornwallis's army during his 1780 attempt to move into North Carolina. On January 2nd, the companies were sent from their winter quarters at Wynnsboro, SC to reinforce the garrison at Ninety-Six. Tarleton requested and received the Royal Fuziliers as a reinforcement to his own corps chasing Daniel Morgan through South Carolina's back country. 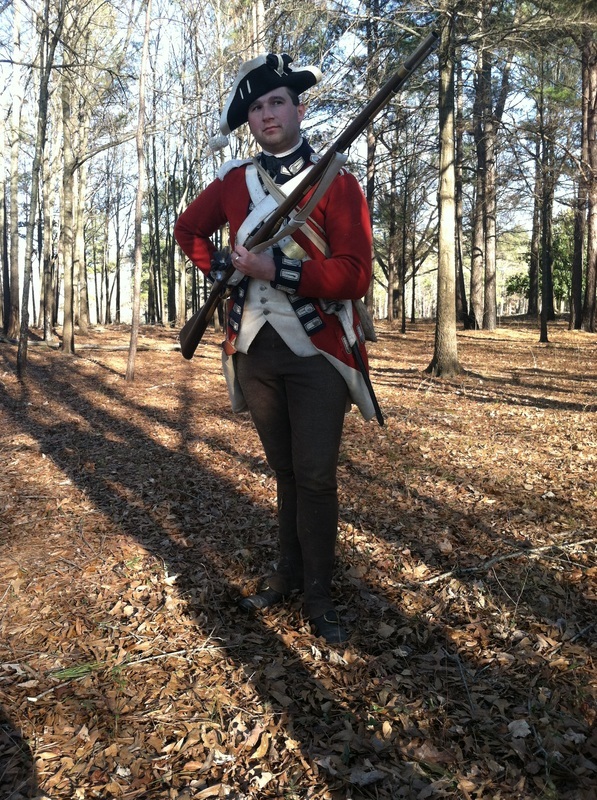 Tarleton caught Morgan at the Cowpens and lost the Light Infantry of Cornwallis's army. During the winter months in South Carolina and Georgia, most of the British army was issued brown donation cloth to make winter trousers. While there are no specific references to the 7th receiving brown wool trousers, it is highly likely as enough wool to make 10,000 pair was on hand. Otherwise, the uniform remained unchanged. 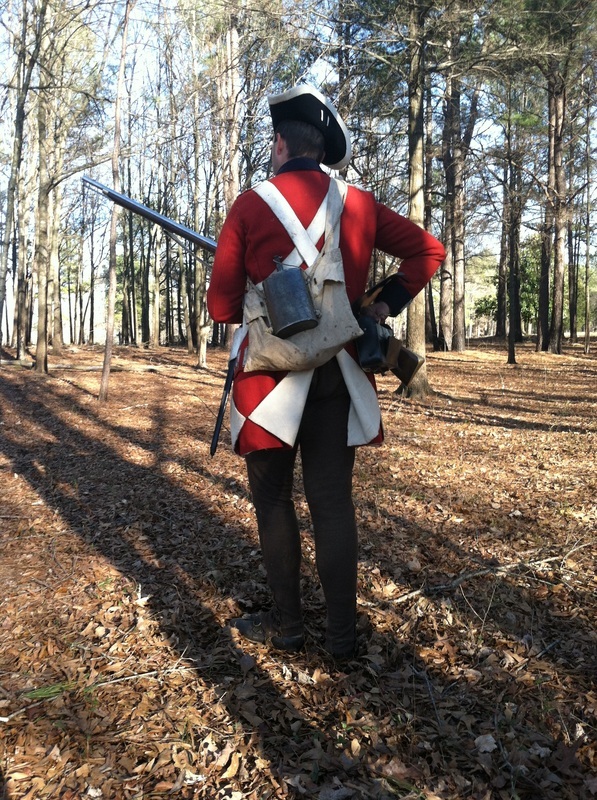 The few men who remained with Cornwallis and fought at Guilford Courthouse would have been clothed in the same manner.